These are two bold and brilliant attempts to capture a whole culture in a single book. 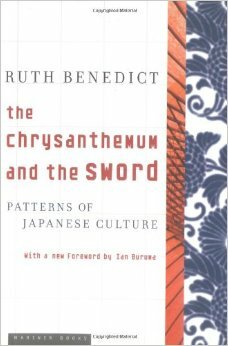 The Chrysanthemum and the Sword is a post-war effort to understand the relation of Japanese culture to Japanese militarism. Benedict is famous for her analysis of the roles of shame and guilt in Japanese moral psychology. Her book inspired James Billington’s profound interpretation of Russian culture, Icon and Axe. Billington tries to understand the religious sources of Russia’s brilliant culture and autocratic politics. No doubt, Billington’s book is much more scholarly and ambitious than Benedict’s; and specialists complain that both books are prone to over-generalization. But for anyone who loves Japanese and Russian culture, these books are highly illuminating and a delight to read.